From the list above you can come up with ways to substitute those things with indoor-friendly activity products. Placing toys and puzzles in different parts of the house, you will have your cat occupied for hours when he finds it and starts playing with it. He will forget all about going outside. Cats love to climb trees so you will need to place a few of these in your house. It will also help with distracting him from clawing your furniture and will help him to stretch his paws and do exercise. See also: How to stop your cat from clawing the furniture. In order for your cat to achieve this without actually stepping out, you will have to make sure that there are windows in which your cat can look out at. Having a window perch will be great so that your cat can sit comfortably and look at birds for as long as he likes. Having an enclosed outdoor porch will be a plus for your kitty’s enjoyment. This should always be readily available for whenever your cat has the need to nibble on something or gets hungry. Cat treats are also a great way of letting your cat feel like he has to hunt for food if you place the treats in different hiding places in your house for him to find. This will help keep your cat indoors and not want to go roaming around looking for a mate! When cats are in “heat” they will do anything to get out and fulfil those hormonal desires which can last up to two weeks (14 days) and if they do not mate within that time they will go back into heat again a few days after. Once your cat is indoors you need to make sure there is at least one door he knows about that he can exit from. Therefore all other doors need to either be blocked or you can use the Cat training system to train your cats to stay away from other doors. Training your cat to come when he is being called will also help for when he do go outside, he will come back when you call him. All family members will have to know once they exit through a door they have to quickly close it behind them before your cat can escape. Cat training can also be used when you take your cat outside for walks. This will keep him safe and within your own premises and he wouldn’t go roaming into the neighbour’s yard or elsewhere. Remember even if you have an indoor cat, your cat still needs to at least be able to go outside (with your supervision off course) once in a while. Your cat should be on a leash to make it easy for you to be able to control where he goes. If your cat refuses to accept the transition and you have given him enough time and privilege of being outside then you may have no choice but to go “cold turkey”. 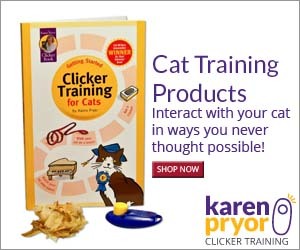 This only means that you will have to show a more stern approach to the training and don’t give into any of your cat’s whining or whimpering ways. Always keep in the back of your head that a safe and happy cat is an indoor cat, this will give you enough motivation to keep doing what you have to do to keep your cat inside.